In my last blog post, we looked at a new feature of Kendo UI Grid released as part of our Q3 2014 – namely Export to Excel. Exporting data from Data Grid was a high ask feature and we provided that in our latest release of the product. In this blog post we will look at how to export the data grid contents to PDF. Kendo UI Data Grid support exporting to PDF out of the box. So let’s start looking at some code. Well that’s all it takes to export your Grid data to PDF. That’s all its there to exporting the data grid to a PDF document. Do give it a try and let us know if you have any suggestion/feedback on this feature. In Q3 2014 release of our Kendo UI, we added one of the most sought out feature in the Grid. 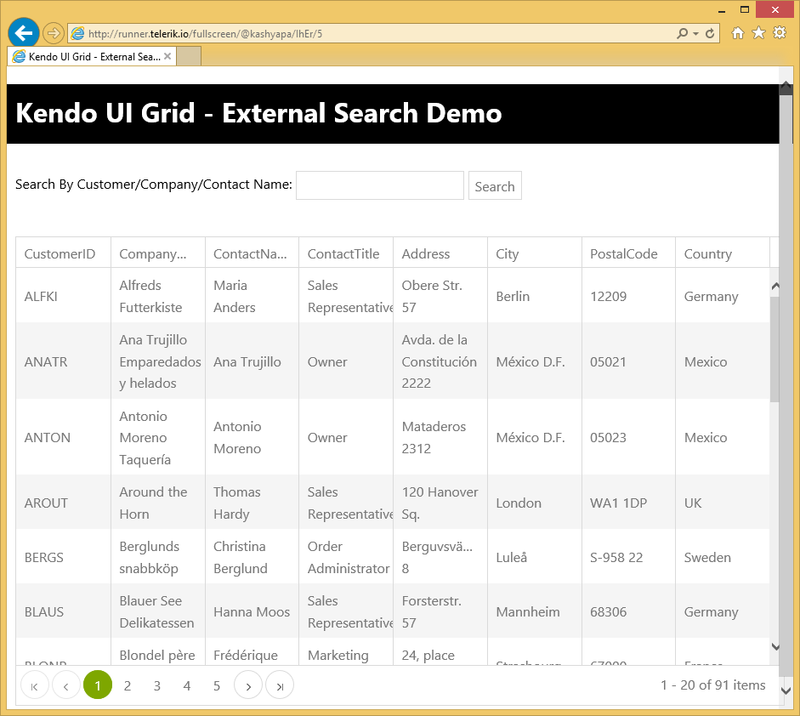 Exporting grid data was one of the top ask feature for Kendo UI Grid. We are happy to say that with the Q3 release Kendo UI Grid now supports exporting to Excel or PDF document out of the box. In this blog post we will take a look at how to use the Excel export feature of the Kendo UI Grid. Well that how easy it is to configure your excel export options. Lets take a closer look at what we have done here. I have placed a button outside the grid. I have gone ahead and set excel export options on the grid. When the button is clicked, I obtain a reference to kendo grid and call “saveAsExcel()” method on the grid instance. And the behavior is the same i.e. an excel file is exported according to the options set on the grid. 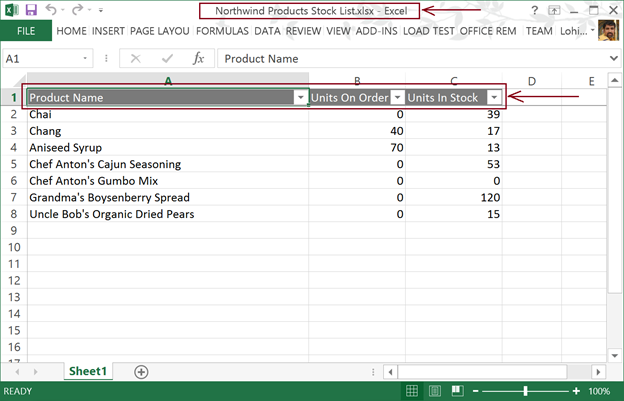 I hope this blog post excites you with the new feature of Kendo UI Grid namely Excel Export. 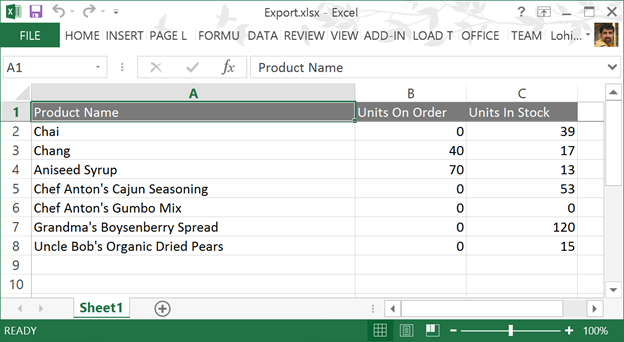 If you have followed along the blog post, you would have realized that providing excel export option on a grid is as simple as setting couple of properties on the Grid itself. It cannot get any easier than this. 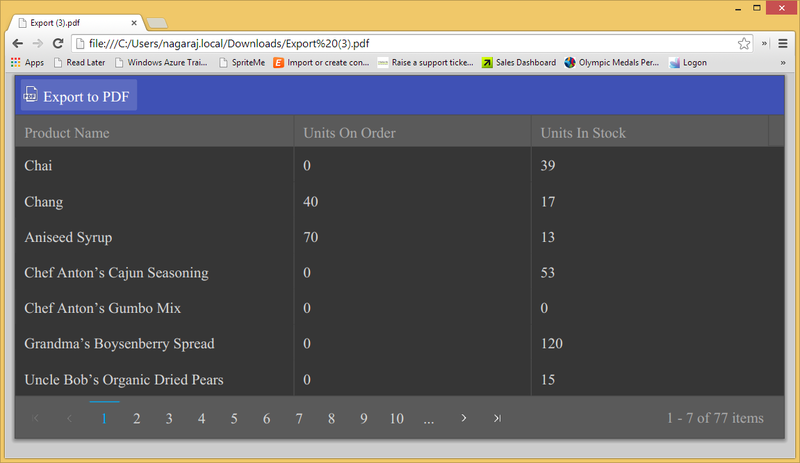 Do give it a try and let us know your feedback or suggestion on Excel Export feature of Kendo UI Grid. Couple of weeks ago, i had an email from a customer of ours who wanted to know how to provide a external search box to our Kendo UI grid. What they wanted to do was to have a text box and a button to initiate the search. This seems to be a common scenario that you will have in your proejcts. So i thought this makes a good case for a blog post. If you have a similar situation in your projects then you better read through this blog post till the end. Lets walkthrough as to what has been done. I provide a datasource to the grid . I set the page size to 20 and turn on server paging & server filtering so that the data source does not do client side paging & filtering. 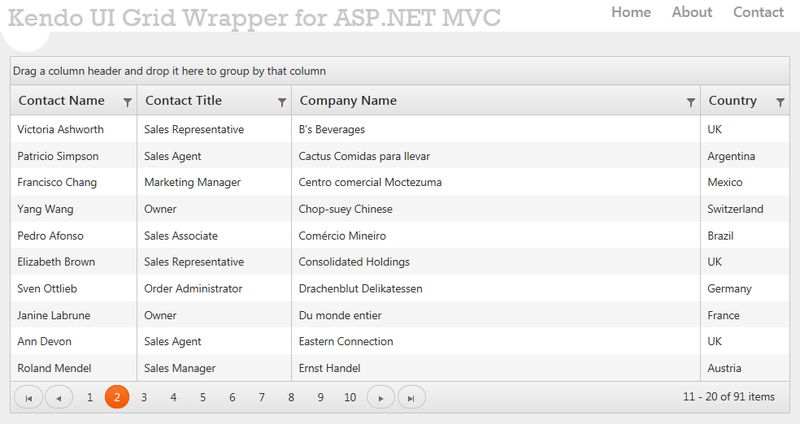 I also provide the grid with the columns that needs to be shown. Well that’s all the code it takes you to provide a external search capability for your grid. I think this post gives you an idea on the power of kendo.data.DataSource. You can do a lot of things with data source. Hope this example helps you in your project if you have a similar requirement.